At Polo Towers, we encourage our guests to indulge in any of our plentiful amenities. At Polo Towers, located in the heart of the iconic Las Vegas Strip, you'll find our friendly team ready to assist in any way to make your vacation experience memorable and hassle-free. The resort features plentiful amenities including a spa, a hair and nail studio, fitness center, business center, gift shop, and concierge. Whether you're in the mood for staying in or stepping out, Polo Towers has a range of amenities and services to make your Las Vegas vacation extraordinary. 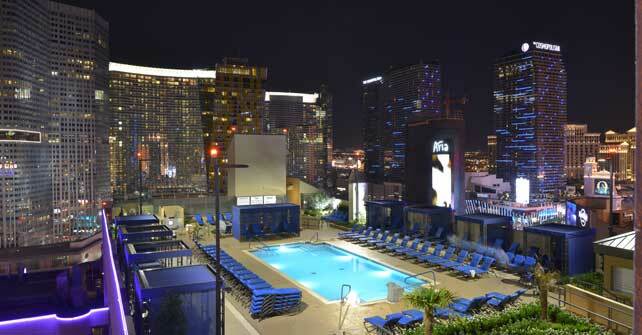 Check out our rooftop pool with a great view of the iconic Las Vegas Strip. A children's pool is also available at Polo Towers. Click here for more information. Stay healthy and energized at the Fitness Center. Click here for more information. Use the Getaway Goods online service and have your groceries delivered to your room. Simple, convenient, affordable, and time-saving. Click here for more information. Use the Courtesy shuttle service for our Polo Towers guests. Click here for more information. We offer a great variety of hair and nail services at Kathy’s hair and nail studio. The Concierge team at Polo Towers offers exciting ideas on how to spend your time in Las Vegas. Our team is here to make sure your stay is one you will never forget by designing your visit around your needs and interests. Whether you are interested in tickets to one of the many Las Vegas shows, or restaurants, bars, and lounges, or golfing, the Concierge is here to help you, no request is out of the ordinary. A 24-hour office print and ship center is available on-site to meet all of your business needs.